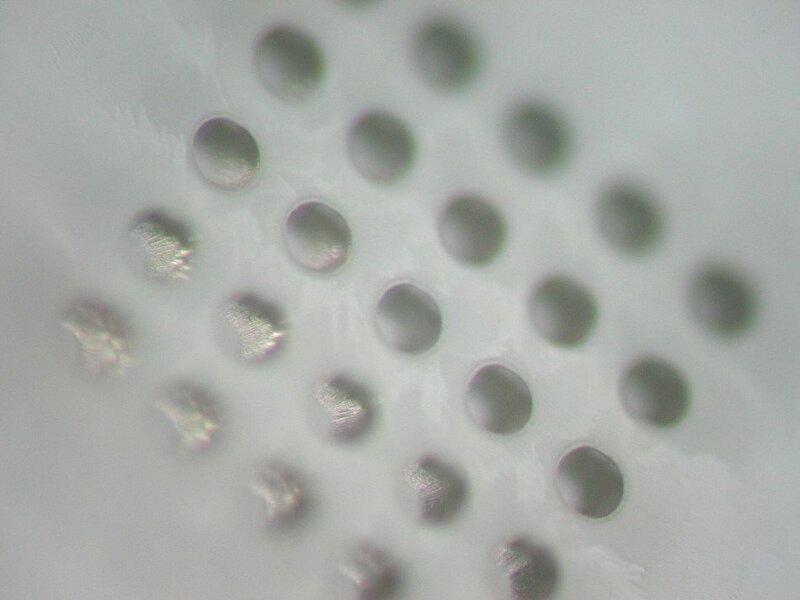 For this project, which was intended for a fiber optic application, we drilled a series of five by five blind micro-hole arrays in a sapphire wafer using an ArF excimer laser with a wavelength of 193 nm. The wafer had a diameter of 100 mm. 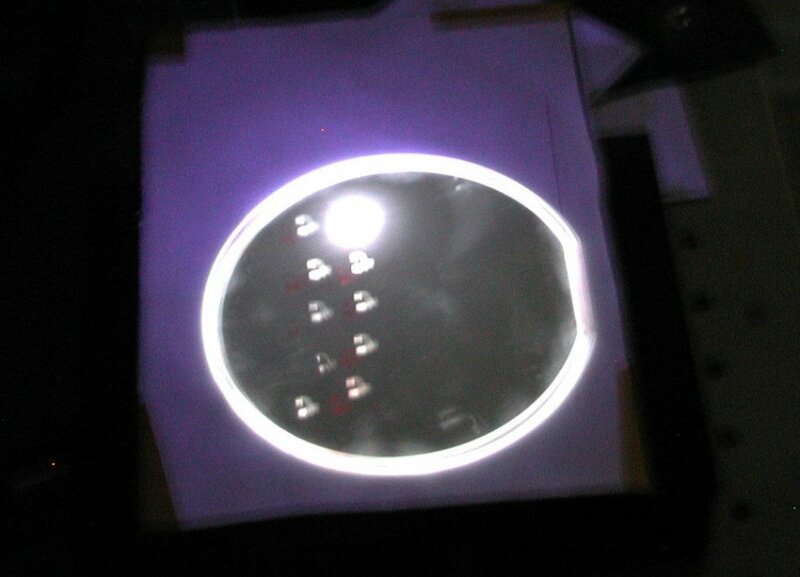 Each hole had a diameter of 200 μm at the entrance of the hole, with a bottom diameter of 150 μm. 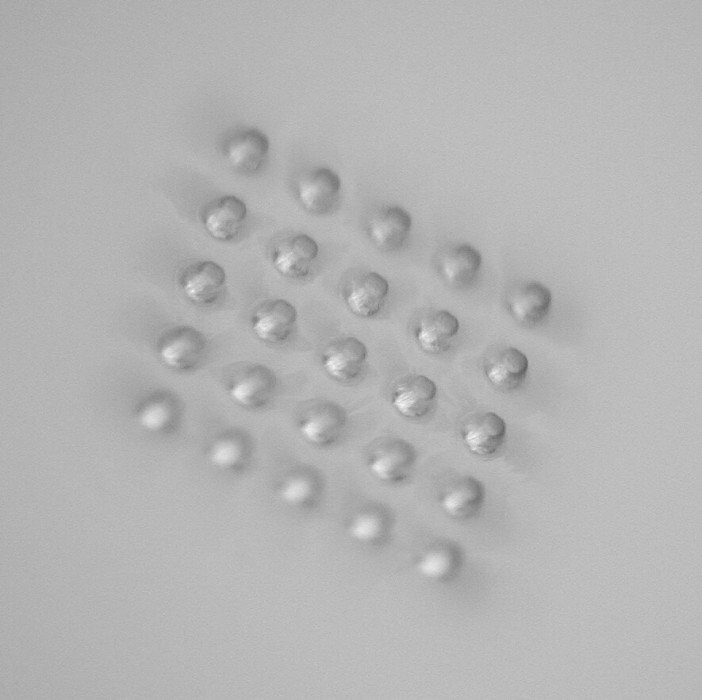 The bottoms of the holes were flat to within 5 μm. The side walls of each hole had a surface roughness of approximately 1 μm. At the request of the client, Precision MicroFab manufactured 20 different hole geometries for testing purposes.